Buying STOP signs was never so easy! They all look the same, yet are so different from each other in terms of their level of reflectivity. We have simplified your choices by segregating them on the basis of brightness, cost, lifespan, size, and material. 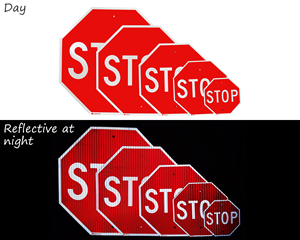 Choose your favorite Stop Sign after carefully reviewing each of their features. • Consider size while buying one of these products. Smaller signs have less viewing distance while larger ones can be spotted from afar. • Bulk ordering is a smart way to buy signs. Prices decrease as you increase your order quantity. • Not able to find what you’re looking for? Need a specific Stop sign? You can customize one with our pre-made templates. Remember the yellow stop sign? Or cats eyes? • Lowest lifecycle costs of all stop signs. • 3X brighter than engineer grade stop signs. • 10 year life – 3M warranty. • Traditional stop sign material. • 7 year life – In practice engineer grade signs last more than 7 years. • Use for bright suburban or urban environments. Or, use for hazardous intersections. • Great when the sign cannot be seen from a distance. 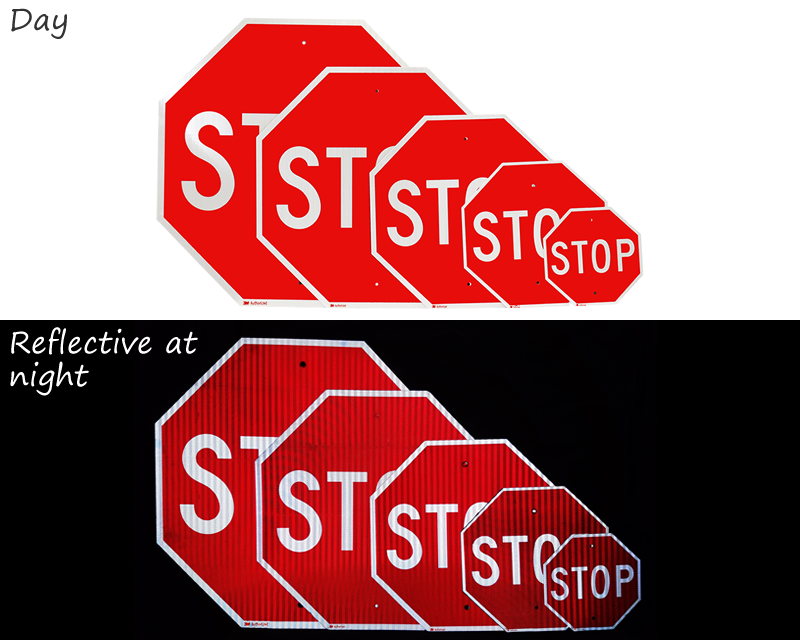 • 4X brighter than high intensity stop signs. 12 year life – 3M warranty. 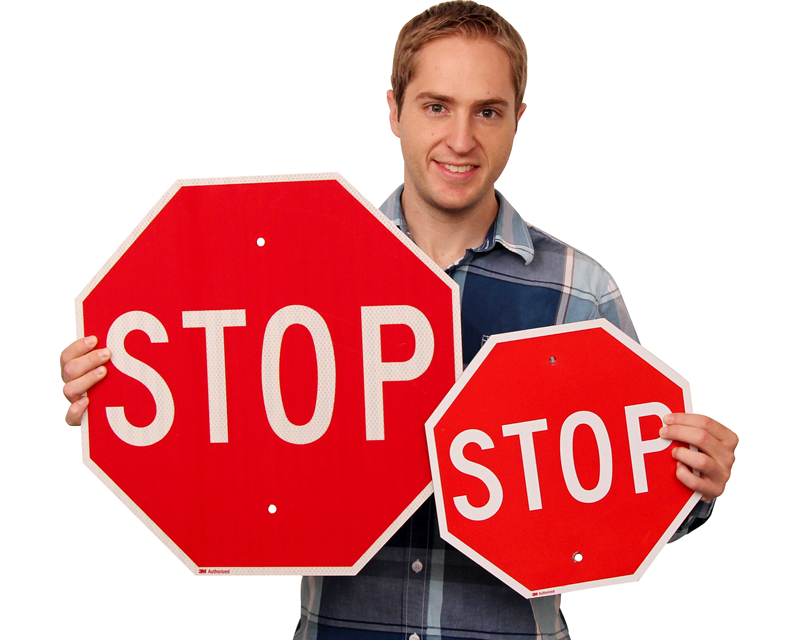 Find out why we have become a leading source for stop signs. 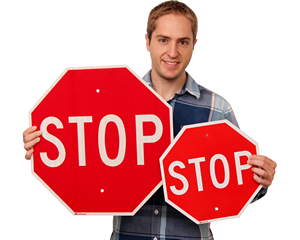 Find out everything you need to know about our stop signs.